When asked about alternatives to the Delta Tunnels in December 2015, Governor Jerry Brown told the Sacramento Bee, “I don’t think there is a Plan B.” He’s wrong, there are many reliable and less environmentally damaging alternatives to the Delta Tunnels that will protect the San Francisco Bay-Delta estuary and build regional water sustainability. The Delta Tunnels would dry up state funding for local water infrastructure investments and increase dependence on water exports from the San Francisco Bay-Delta estuary. The tunnels would fail to put any new water into the system as less expensive water recycling, storm water capture, and conservation projects all do. Investments in water conservation, wastewater reuse, groundwater recharge, capturing rain water, gray water, and fixing leaky local pipes will strengthen our infrastructure and provide long-term jobs that make economic sense. Cities across California are planning to diversify their water supply sources because local sources are the most cost effective and reliable. Dr. Jeffrey Michael, Director of the Center for Business and Policy Research at the University of the Pacific found that investments in water conservation create 15 to 20 jobs per million dollars of expenditure, as opposed to just 5 jobs per million dollars of investment that is touted for the Delta Tunnels. The Los Angeles-based nonprofit Economic Roundtable found that investments in water use efficiency create large numbers of jobs that pay sustaining wages and generate broad expansion in local business activity. Southern California labor unions have expressed that they are ready to install systems that increase local water sustainability. Mayor Garcetti recently directed Los Angeles to permanently cut water use 20 percent by 2017. During the summer of 2015, urban water users throughout California beat state conservation goals. These reductions become permanent as lawns are removed, drip irrigation is installed, and people replace leaky toilets. With incentives, homeowners and businesses are switching to drought-resistant landscaping, crops, or conservation technology. Conservation investments are money well spent, just $210 per acre-foot of water according to the Los Angeles County Economic Development Corporation. New conveyance and surface storage water projects cost between $760 to $2000 per acre-foot of water. New infrastructure to capture, recycle, and to store water locally by recharging groundwater is another source of “new water.” The Water Replenishment District of Southern California recently unveiled plans for a water purification plant that would make the district entirely self-reliant on local water. The Los Angeles Department of Water and Power’s Urban Water Management Plan for 2010 set a goal of using 35 percent less imported water in Los Angeles and has a detailed plan to achieve this goal. The Metropolitan Water District of Southern California has plans to build one of the largest recycled water programs in the world. Treating and reusing urban wastewater, gray water, and storm water can generate an additional 2 million acre-feet per year by 2030 and provide long-lasting jobs to the region. A 2014 issue brief by the Pacific Institute and the Natural Resources Defense Council found that stormwater capture in urbanized Southern California and the San Francisco Bay region has the potential to increase water supplies by 420,000 to 630,000 acre-feet per year and that rooftop rainwater capture systems installed in our homes. In 2012, TreePeople, a Los Angeles-based environmental nonprofit organization, embarked upon an information and best practices exchange program between government, research and community organizations in Australia and Southern California. The City of LA currently imports almost 90 percent of its water supply from distant sources at huge social, environmental and economic costs. However, initial results show that the City could capture between 30%-50% of its current water demand. 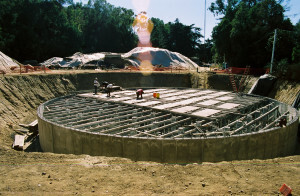 California needs to fix and upgrade its local water and wastewater systems the systems most threatened by earthquakes. We need to remove old plumbing and replace it with low-flow options and implement new devices that tell users how much water they’re using. 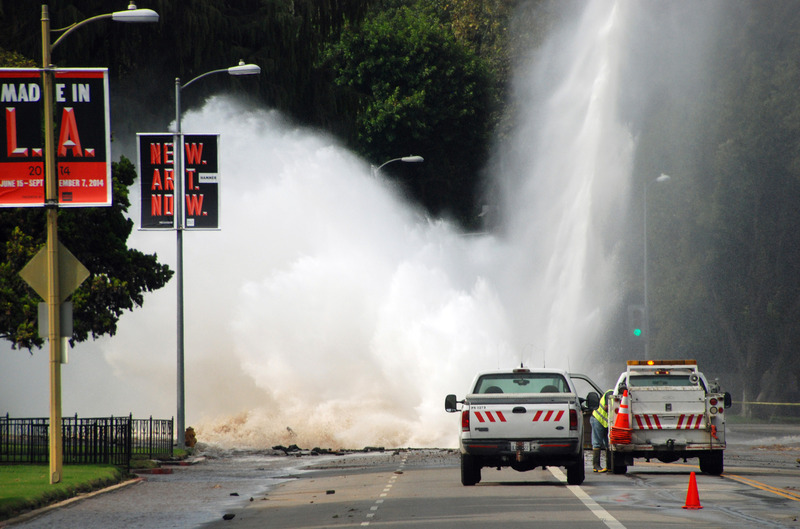 In addition, 10- 20% of municipal water supplies are lost through water main breaks; we should invest in the installation of wireless underground systems that track these breaks for fast repair. Most importantly, we should prioritize funds to repair and upgrade aging underground water delivery systems, which would gain over 500,000 acre feet of water annually. Because agriculture uses such a huge percentage of California’s developed water, this sector offers the largest potential for conservation. Key to understanding California’s water “crisis” is the simple fact that irrigated agriculture on the west side of the San Joaquin Valley uses roughly 70 percent of the Delta’s exported water and contributes less than 0.3 % to the state’s economy. California agriculture made record-breaking profits in 2015, even during the drought. Their cries of impending doom are just not credible. According to the Pacific Institute, increasing irrigation technology, ending the irrigation of polluted farmlands, and instituting tiered price structures could reduce as much as five million acre-feet of water per year. Incentives to help farmers save water by installing drip irrigation where possible would results in reduced agricultural water use from 60% to 80%. The question before California is how to make agricultural sustainable in areas with best the soils, climate and access to water, rather than promoting permanent crops in drought stricken desert lands, dependent on exported Delta water. The SF Bay-Delta estuary is a jewel in the rough that needs some polishing. Fresh water flows are critical to the survival of this state’s salmon fishery, as salmon migrate from the estuary’s watersheds, through the bay to the sea, and also help to flush out pollutants. 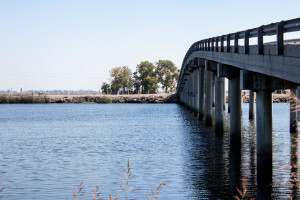 The State Water Board and State and Federal fishery agencies have repeatedly stated that Delta outflows must be significantly increased if the estuary’s historic fisheries are going to survive. Extra water can be exported through the existing pumps if state-of-art fish screens are installed by the water takers as promised. Stronger levees are also needed to protect $20 billion in infrastructure (railroads, gas lines, power facilities, public highways) and the 4 million people in the Delta region who need protection. Recent studies by the Delta Protection Commission indicate that if a hypothetical catastrophe were to occur, 80% of the cost and 100% of the loss of life would occur within the Delta. Retiring toxic lands that do not drain properly and that are unsuitable for farming could release hundreds of thousands of acre-feet per year in water. We can buy out these farms and helping their owners convert the land to profitable solar or wind energy production. It makes no sense to jeopardize farming on prime Delta farmland and surrounding areas to subsidize irrigation of impaired lands on the west side of the San Joaquin Valley. Alternatives to the Delta Tunnels proposal will save Californians billions of dollars in costs while increasing water supply and strengthening protections for the ailing delta ecosystem and its fisheries. I agree that the Delta tunnels are not a viable solution . 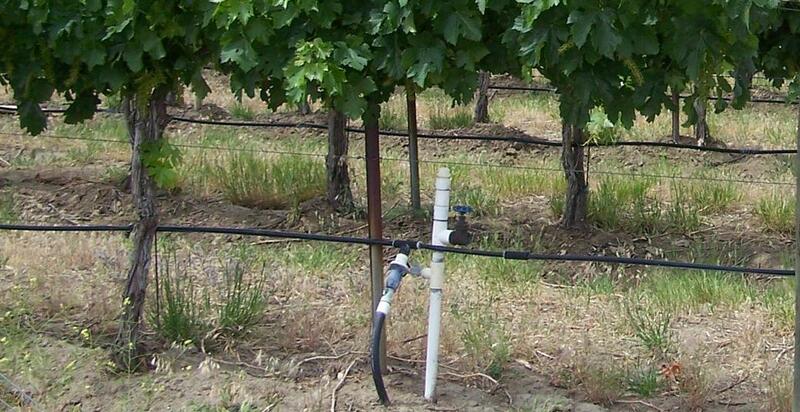 As a boater in the Delta, we have seen the quality of the water deteriorate over the years. There are other options as ave been suggested. A wonderful restoration of the delta is in our future. Clean delta Slough water is possible. It is amazing that agricultural and oil industry subsidies does not include a clean up and recycling on all waste water. Filtering toxic air pollution is there but ineffectively implemented. The toxic air pollution eventually blows into food producing farmland and washes into a River somewhere and then into a water supply.